If you are a frequent visitor of The Gadgeteer, you’ll already know that I’m slightly obsessed with Qi wireless charging gadgets. I started using Qi a year ago with my Samsung Galaxy S3. I ended up testing a couple different docks and Qi patches until I ended up buying the Samsung OEM charging cover. Since that time, I moved on from the S3 to the Samsung Galaxy Note 2. Since there wasn’t a Samsung wireless charging back cover available for that model, I ended up doing a little surgery in order to add a Qi patch (see related links below). Samsung’s wireless charging covers are the best and easiest solution when you want to give your phone wireless charging capabilities. The only down side is that they can be pricey and hard to find. 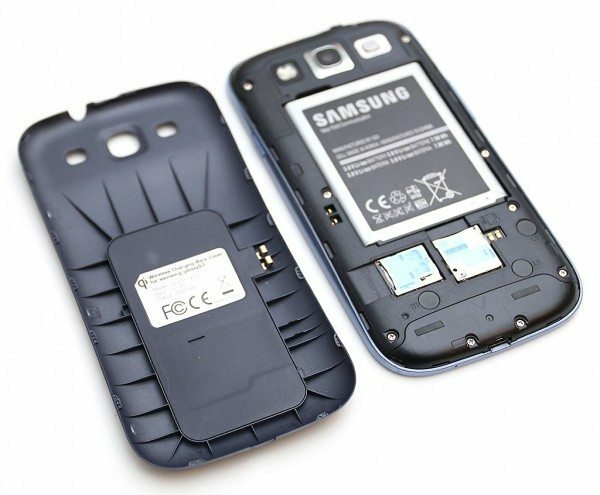 Today I want to show you an alternative: The Mobile Fun Samsung Galaxy S3 Qi Wireless Charging Back Cover. Note: Click image to see larger size. When you compare the Mobile Fun Qi cover with Samsung’s official cover, you’ll notice that the Mobile Fun cover is lighter weight, a little thinner and more flexible. Even so, it doesn’t feel fragile or like it will break with repeated installs and removals. The advantage to using a cover instead of a Qi patch is that you don’t have to fiddle around with lining up the pins and getting the stock cover to snap in place on top of it. 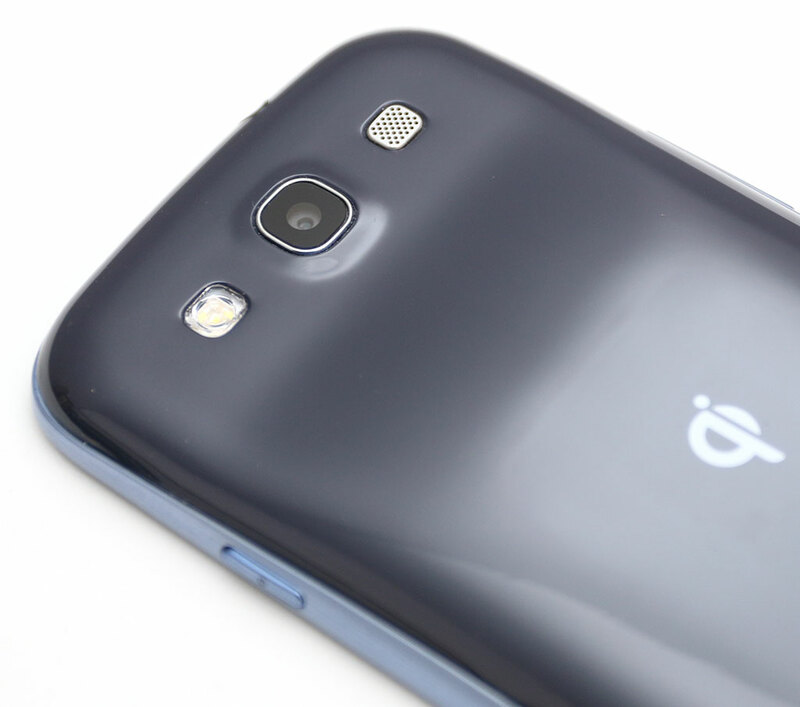 That’s because the Mobile Fun cover has the Qi patch built into the cover itself. 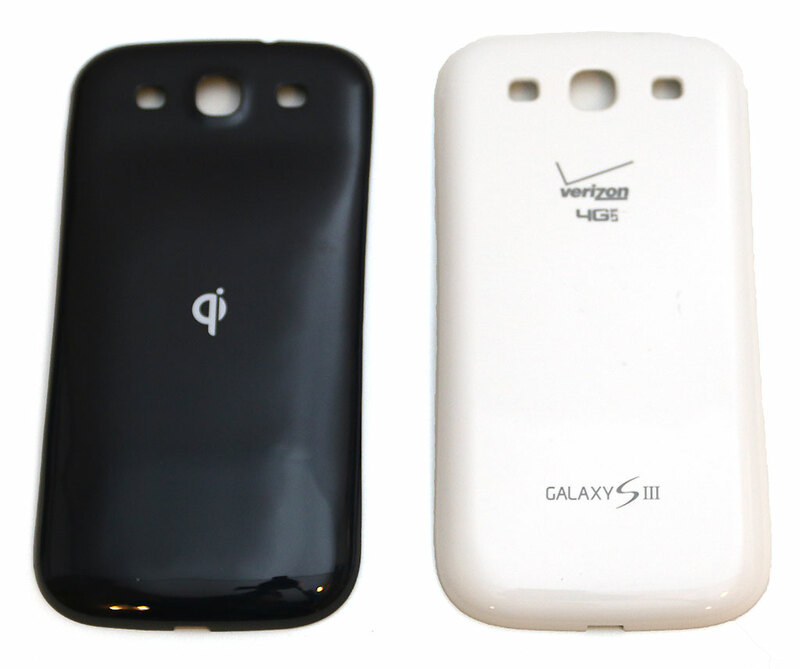 The Mobile Fun Samsung Galaxy S3 Qi Wireless Charging Back Cover snaps on easily, with a perfect fit. The cut outs for the camera, LED flash, headphone jack, speaker and USB connector all line up perfectly. The dark blue shiny finish does show smudges easily and does seem to pick up fine scratches without much effort. There isn’t really a whole lot more to say about this cover. You basically remove the existing cover, snap this one in its place, then set the phone on a Qi charger and you’re done. I tried this cover with three different Qi docks: The TYTL VU wireless charging dock, Brando wireless power bank and the Nokia DT-910 dock (shown above). I’ve had trouble in the past getting generic Qi patches to work with Nokia docks. But I had zero problems with this cover and my Nokia docks or the other docks that I tried. The only thing that would make the Mobile Fun Samsung Galaxy S3 Qi Wireless Charging Back Cover even better than it already is, would be if a Qi charging dock came with it. But even without that, it gets two thumbs up from me. 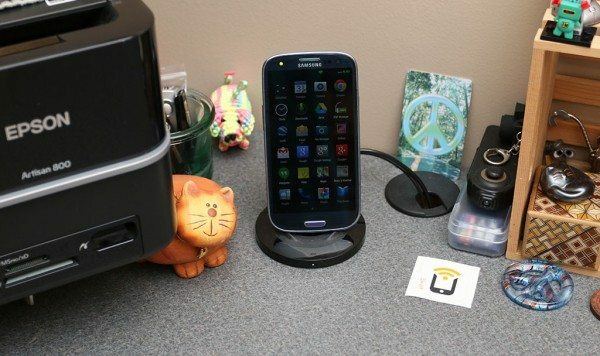 See a full listing of Mobile Fun’s wireless charging products here. 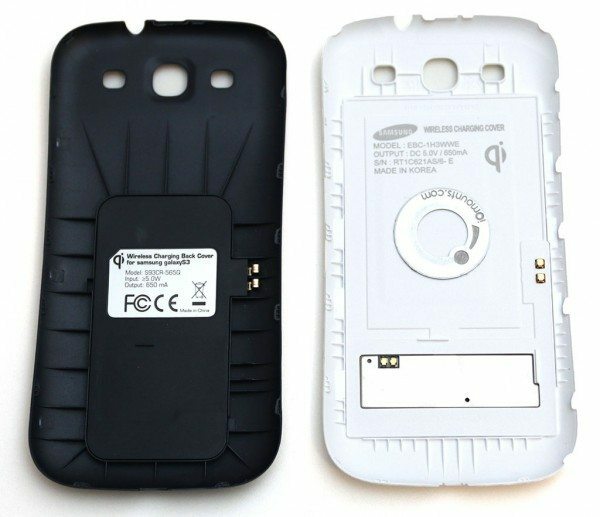 Mobile Fun Samsung Galaxy S3 Qi Wireless Charging Back Cover review originally appeared on The Gadgeteer on May 8, 2014 at 11:00 am.